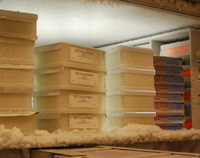 style="width:15%; height:15%; border:2px solid #aaa; margin:-10px 5px 10px 15px;"
alt="Main page image: freezer plates"
style="width:15%; height:15%; border:2px solid #aaa; margin:-10px 5px 10px 0px;"
alt="Main page image: Slovenia mascot." 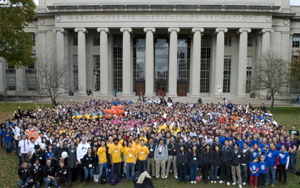 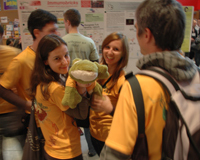 alt="Main page image: iGEM banner." 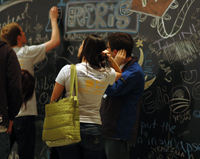 alt="Main page image: 2008 finalist announcement"
alt="Main page image: DHL boxes"
alt="Main page image: Tagging blackboard!" 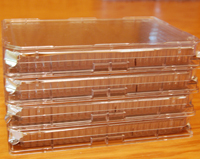 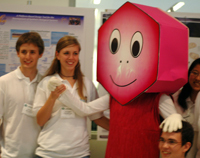 alt="Main page image: Heidelberg phage mascot"
alt="Main page image: 2008 Jamboree presentation room"
alt="Main page image: DNA distribution kit plates"
alt="Calendar showing Friday Sep 18 deadline"
<p>See the <a href="http://2009.igem.org/Sponsorship">Sponsorship</a> page for more details. 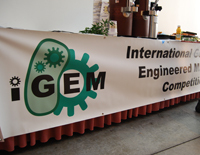 News: Check out the new job opportunities at iGEM Headquarters. 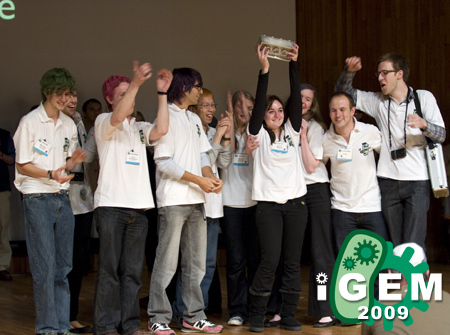 iGEM 2009 is officially over!